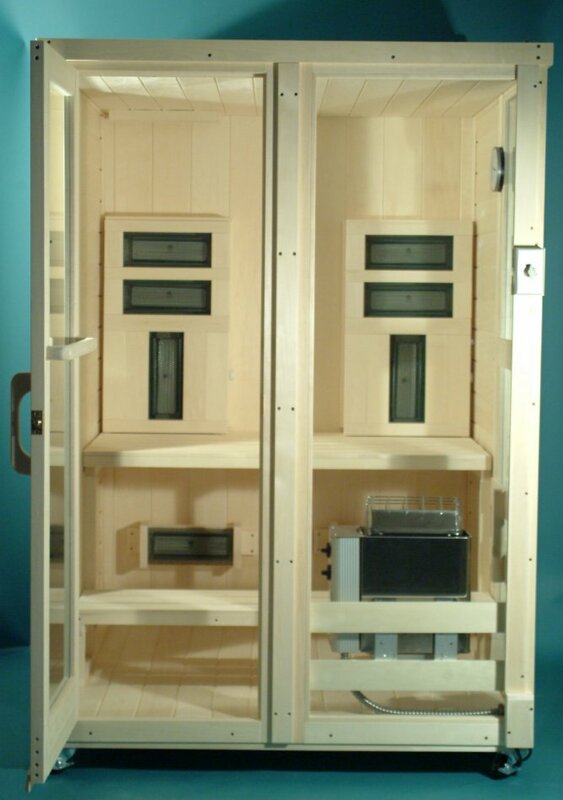 Far Infrared Sauna is an excellent tool in creating and maintaining optimal health. Infrared heat is absorbed directly into the body, unlike traditional sauna which heats the body indirectly via air or steam. Incredibly useful for detoxification, infrared sauna is also used for weight loss, wound healing, relaxation, cardiovascular health, pain relief, and more. As a tool in detoxification, sauna therapy allows the toxins stored in the subcutaneous fat to be released through the skin. Compounds stored in the subcutaneous fat include both toxins absorbed through the skin and compounds that have been deposited from the circulation, including heavy metals, medications, and pesticides. Studies have shown that these compounds are able to be effectively eliminated from the body using sauna therapy. In 1989, Heavenly Heat began building clean-air popular infrared saunas of non-toxic, non-allergenic materials for the chemicallysensitive. Today, These saunas have evolved to enclude both Finnish stone heating, and stone heating in combination with far infaredbody heating, to create the safest, most versatile, most comfortable, and most effective saunas for detoxification. For optimal detoxification, a sauna must be uncontaminated by harmful fumes from heated synthetic materials and glues. The sauna’s interior air quality is a direct consequence of the construction materials, so only natural, untreated, non-allergenic materials can be used. The strength of the electrical circuits’ electro-magnetic fields, relative to the bather’s proximity to a heater is also a critical factor that is addressed in these health-enhancing sauna rooms. The leading authorities in medical detoxification recommend Heavenly Heat’s safe conscientiously built saunas, and their superiority is apparent to health-conscious individuals. Sauna sessions are available for one or two people at a time. We recommend an 8-10 minute sauna for the first experience, and up to 25 minutes for those using sauna regularly.